A personalised leadership development plan is what helps turn a manager into a leader. By working within a structured business plan, that clarifies and develops both short and long-term plans, an individual is able to increase skills, knowledge and experience in order to build positive reinforcement and create a firm foundation of leadership ability. The most effective and productive leadership models are designed to incorporate personal experience – that is positive or negative – as well as defined skills and knowledge. Each personalised leadership model is therefore unique, and enables the individual to adapt and develop skills accordingly. Some leaders will opt to gain experience by understanding every aspect of their business, whilst others may decide to concentrate on specific key areas of business development and growth. Understanding which approach works best for you will enable you to accept and adapt the most suitable leadership model for your personal needs. Setting a foundation of core business values enables a leader to use creative skills to create a personalised leadership model that is powerful and versatile. By reminding team members of the key values and messages that are important a leader can focus on using innovation and creativity to find solution. Open communication, in this approach, further encourages business development and growth and is therefore an essential ingredient when using creative thinking and planning in a leadership model. Managing business development in a strategic manner relies on having a firm foundation set in place. This foundation requires effective leadership, varied experience, good communication and organisation and a willingness to overcome obstacles, Attention to detail is required, as too is an approach that incorporates lesson learning and adaptability. A failure to learn from mistakes will impact on a strategic based leadership model in many ways. If leadership is ineffective no amount of planning will increase productivity. Therefore growth potential must be examined thoroughly and adapted accordingly, if this method of leadership model is to be used successfully. A competent leader knows how to drive efficiency and productivity and will therefore always encourage members of their team to push themselves in a positive manner. This means that self-belief and confidence in ability is increased and directed in a way that encourages results. Working with a structure of goals enables a leader to direct his/her team in a manner than builds rapport and establishes a positive working environment. Setting goals offers an opportunity to define issues and problems so that the best solutions can be identified. Using a personalised leadership model means that more clarity can be achieved and any weaknesses can be recognised and rebalanced. In order to improve results a leader must be able to measure business performance and growth. 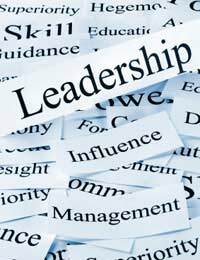 Using techniques that measure strengths and weaknesses, and that provide team individuals with methods of handling change and personal growth can help a leader work more effectively. Inspired leadership means understanding how to build a team that consistently delivers exceptional results, as well as having an awareness of how to develop strengths and improve weaknesses. Researching current trends in business will also help a leader achieve inspired results. By continually increasing personal awareness and personalising the leadership model a leader remains focused and inspirational.